Welcome to South Strand Appliance Service. We're glad your here. At South Strand Appliance Service, our core value and #1 priority is you, the customer. Our company is built on customer service. When you schedule a service call with us, we are confident that you will be happy with our service. 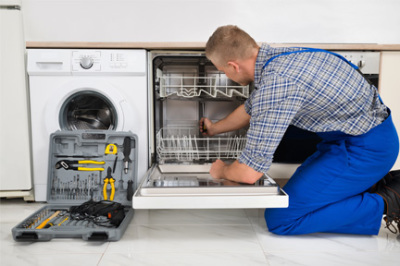 At South Strand Appliance Service, we repair and service all major household appliances, including washers and dryers, refrigerators and icemakers, dishwashers, ranges and stoves, microwaves, wall ovens, cooktops, garbage disposals, freezers and more. We also offer new appliance installs. We are located in the heart of Murrells Inlet, South Carolina. We service Horry and Georgetown counties, as well as surrounding areas. No job is to big, no issue is to small. If your unsure what exactly you need, we'd love to hear from you! We're here for any questions or concerns you may have. 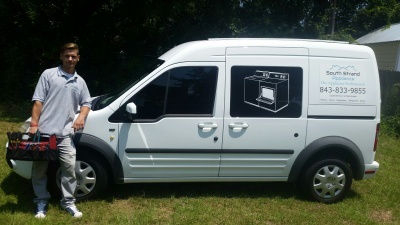 We service and repair all major appliance brands including Ge, Whirlpool, Amana, Maytag, Kenmore, Samsung, Electrolux, LG, Frigidaire, Haier, and more. Our friendly staff and certified technicians will get you scheduled and get your unit up and running in a timely fashion. Most issues can be resolved on the very same visit. When you call to schedule an appointment, we will do our very best to get you scheduled in on the same or following day.